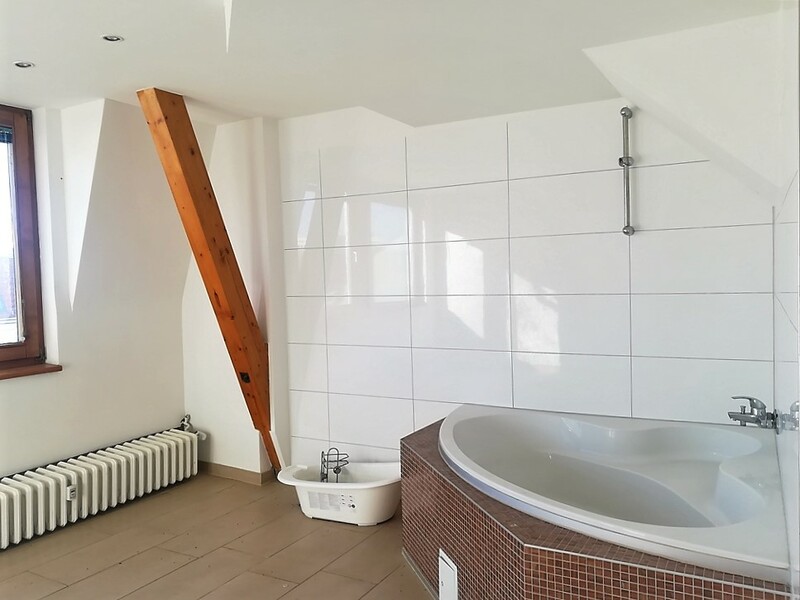 • The property is 195.70 m² in size and has four rooms of different sizes over two floors and an individual floor plan, which offers plenty of scope for design options. 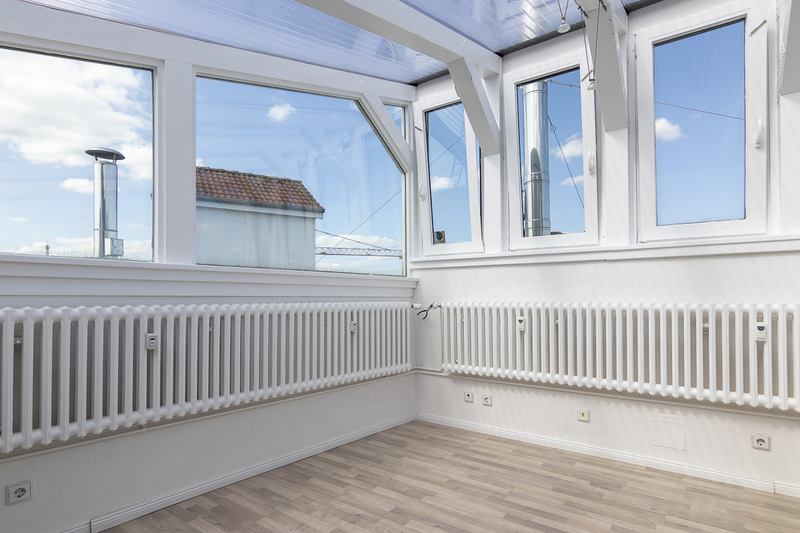 • The spacious apartment is flooded with light with its numerous windows. 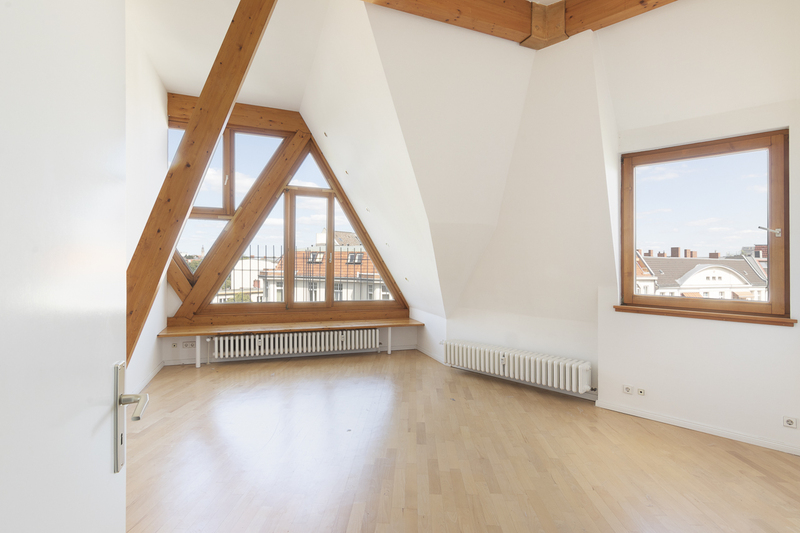 • Light wood beams add natural charm to the living rooms, bathrooms and kitchen. • The apartment has two bathrooms areas. The large bathroom has a corner bath tiled with burgundy porcelain stoneware. 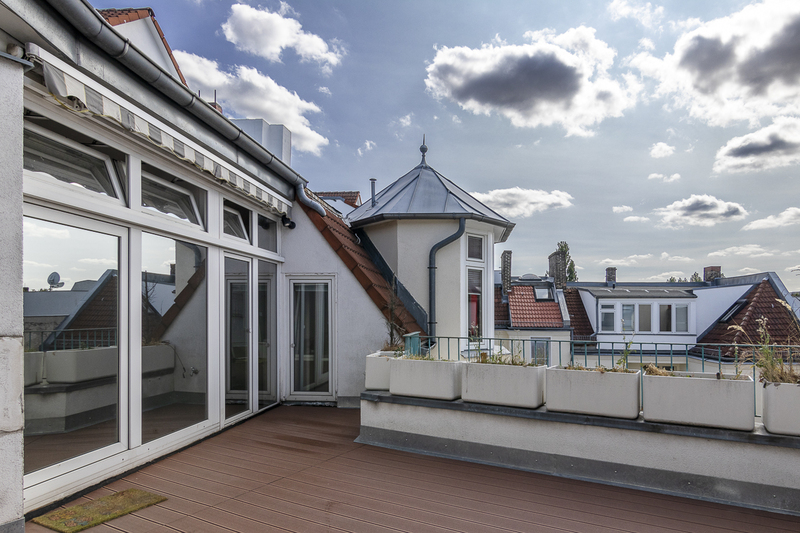 • A spacious terrace has amazing views across Berlin the sunset facing southwest. 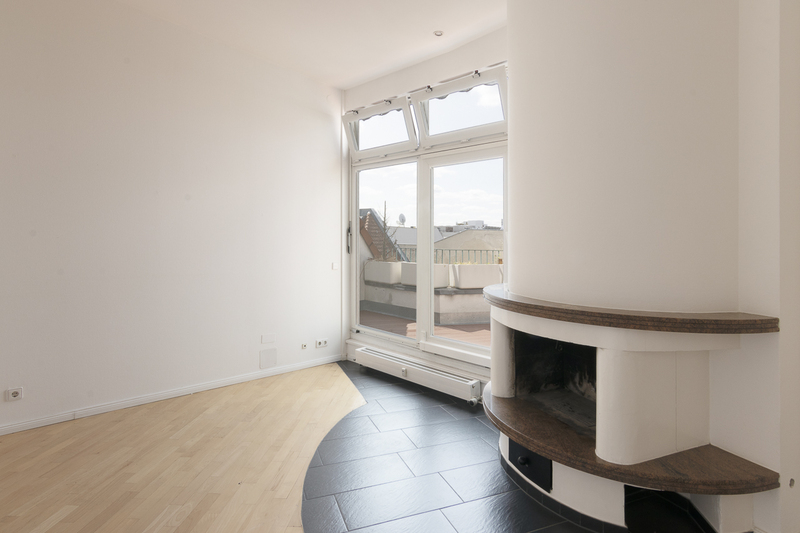 • Outstanding is the modern fireplace in the room next to the terrace. • A staircase leads to a glass-roofed gallery space which can be set up as a bedroom or work space with sky views. 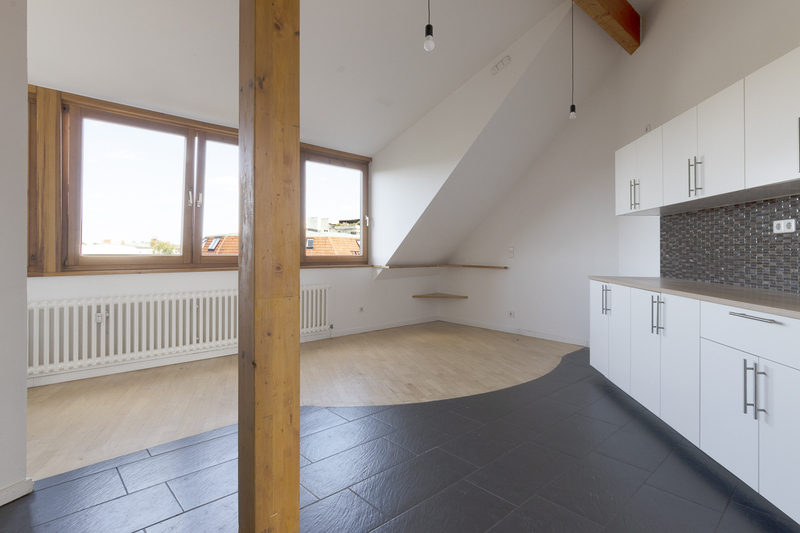 • The floors are light wood, the main living area is light beech and the gallery oak. • The kitchen area is designed with slate floor tiles, generous storage cabinets with fitted cooker and oven, also dish washer. 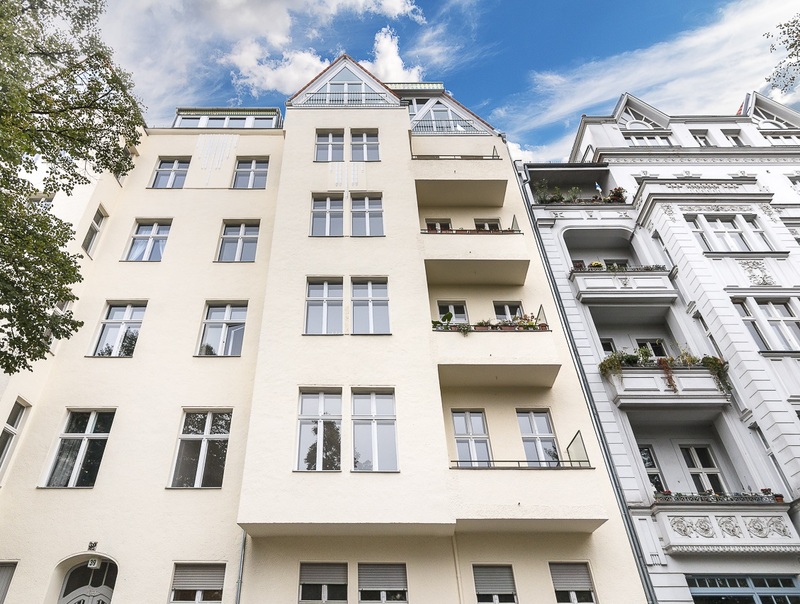 Charlottenburg-Wilmersdorf is a centrally located, desirable part of town and one of the most important urban locations in the west of Berlin. With internationally renowned landmarks such as the German Opera House, the Zoological Garden and the Kaiser Wilhelm Memorial Church and the famous shopping areas of Kurfürstendamm, it is hardly surprising that it is one of the most popular parts of Berlin. Here you will find the perfect combination of cosmopolitan flair and recreation with a lot of restaurants, cafes and bars. 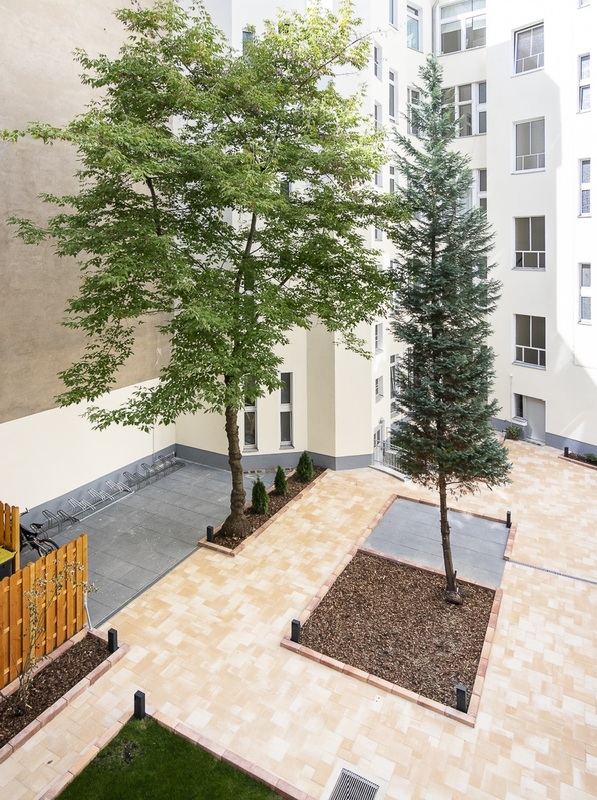 An extensive range of cultural facilities and numerous parks and lakes all contribute to the quality of life here.The property is located in Damaschkestrasse with the corner Joachim-Friedrichstrasse, just around the corner from one of the most fashionable residential area in the City West, Kurfürstendamm, and the beautiful Lietzenseepark which contains a lake. 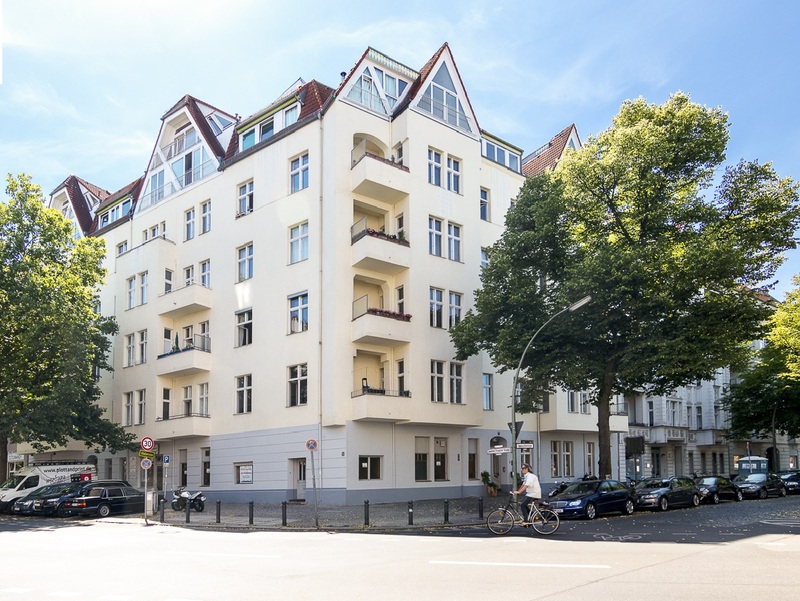 It is also right next to the S-Bahn station Halensee, the U Bahn station Adenauerplatz and several bus lines that all connect you to various directions and bring you to Berlin’s hot spots.